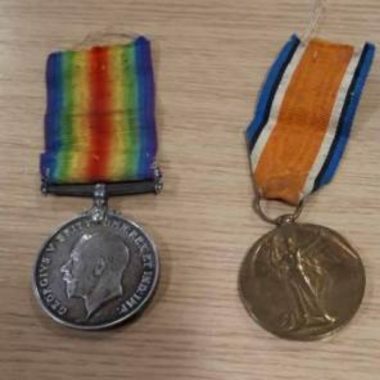 THE OWNER of the First World War medals recovered by West Mercia Police in Birmingham last week have now been returned to the owner. The appeal we ran last week proved successful and the three medals are now back where they belong. 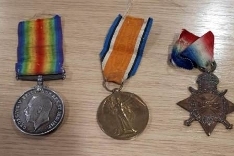 One was an Allied Victory Medal with the dates 1914/1919 on it, the second was a British War Medal, dated 1914/1920 and the third was a ‘Star’ from 1914. They were issued to an officer from Staffordshire who served in the Middlesex Regiment between 1915 and 1916. A 34 year-old man has been arrested on suspicion of burglary and was remanded in custody over the theft of them.